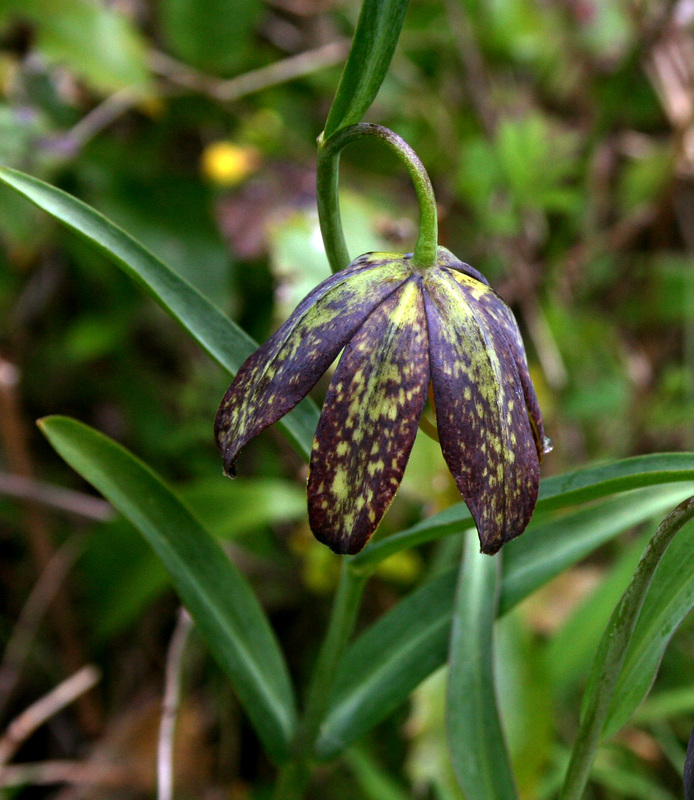 The Chocolate Lily (Fritillaria affinis for the botanically-minded) is one of the coolest and yet commonly overlooked spring-flowering plants on the Island. They may not be as showy as Camas or Shooting Stars, but I think their bell-like shape and subtle shading is absolutely gorgeous. Fair warning, they don’t have the nicest scent (think skunk cabbage rather than wild roses!). 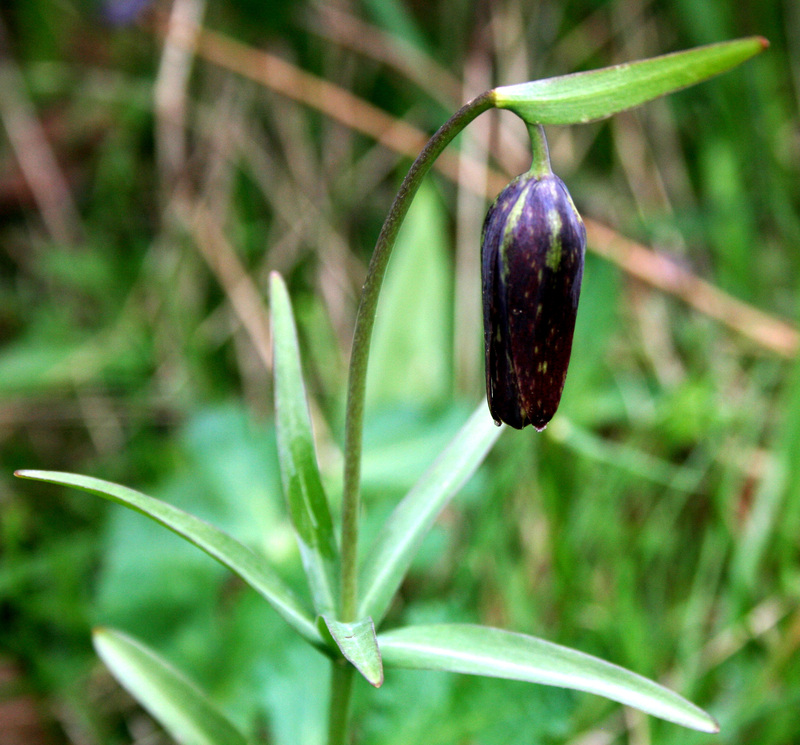 I first learned about Chocolate Lilies in one of my undergraduate ethnobotany classes, and although I frequently enjoyed hiking on the Saanich Peninsula, I had never seen one before. That spring and the next I kept a watchful eye out for them, but it wasn’t until I visited Quadra Island (one of the northern Gulf Islands further up the coast) that I happened upon a patch of them. I was thrilled to finally see these little lilies and took countless photographs – it was the definitive highlight of the trip. The following spring, however, I was hiking in a small park about ten minutes from my home and discovered several large patches of them growing at the summit. They’d been growing in a place I’ve hiked regularly for years, but I’d just never looked closely enough to notice! It’s now one of my favourite spring traditions to hike up to the top of the hill and visit the Chocolate Lilies in bloom, and I appreciate the yearly reminder of how much we regularly overlook even in our own backyards. Speaking of looking a little closer, one of the most distinctive features of the Chocolate Lily is one you can’t see above the surface. I’ve included this photo of Chocolate Lily bulbs (courtesy of the Scottish Rock Garden Club) so you can appreciate why another common name for the plant is Rice-root. 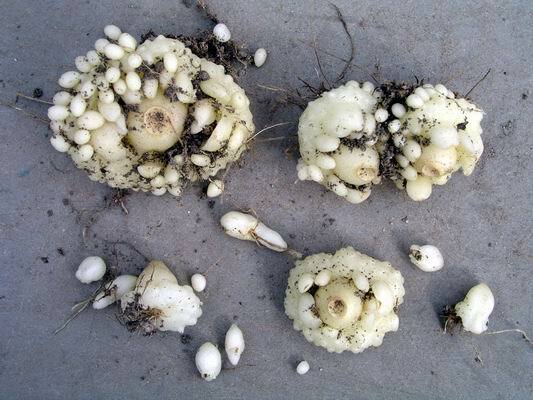 The main bulb produces a cloak of little bulblets that resmble grains of rice – these break off when the bulb is disturbed, allowing the plant to propagate. Chocolate Lilies can also be grown from seed, a feature that allows the plant to spread further afield. 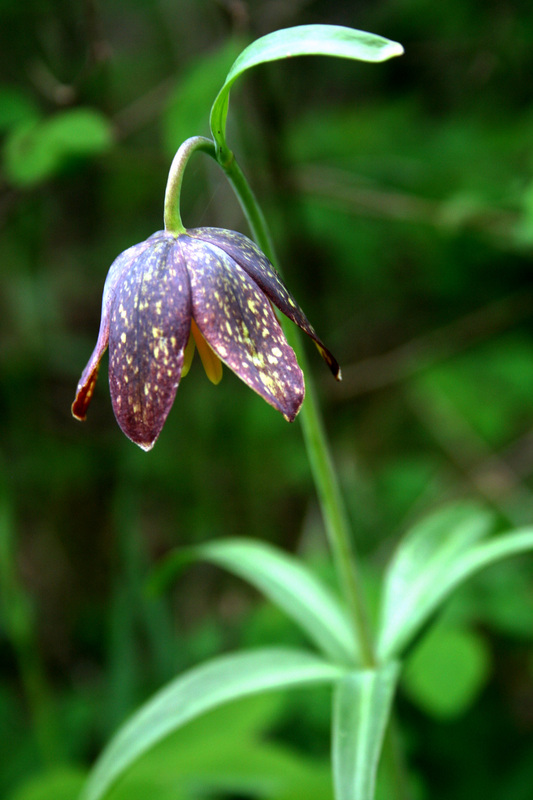 Chocolate Lily bulbs, along with Camas, were a staple food for local First Nations. Because the bulbs grow quite close to the surface, they are easily dug up – the best time for harvest is either before or after flowering, as that’s when there will be the most nutrients present in the bulb. Traditionally, the bulbs were either cooked immediately, or partially dried and stored for winter consumption. They were generally cooked for about half an hour in a cedarwood box, boiled and then mashed into a paste, or baked in ashes. Sadly, however, they do not actually taste of chocolate! For more on the variety of lily species found on the West Coast, and their ethnobotanical history, check out Andrew Scott’s article with the Sunshine Coast Botanical Garden Society. For the intensely curious, there’s a fantastic list of resources here for further reading on the traditional resource management of chocolate lilies. 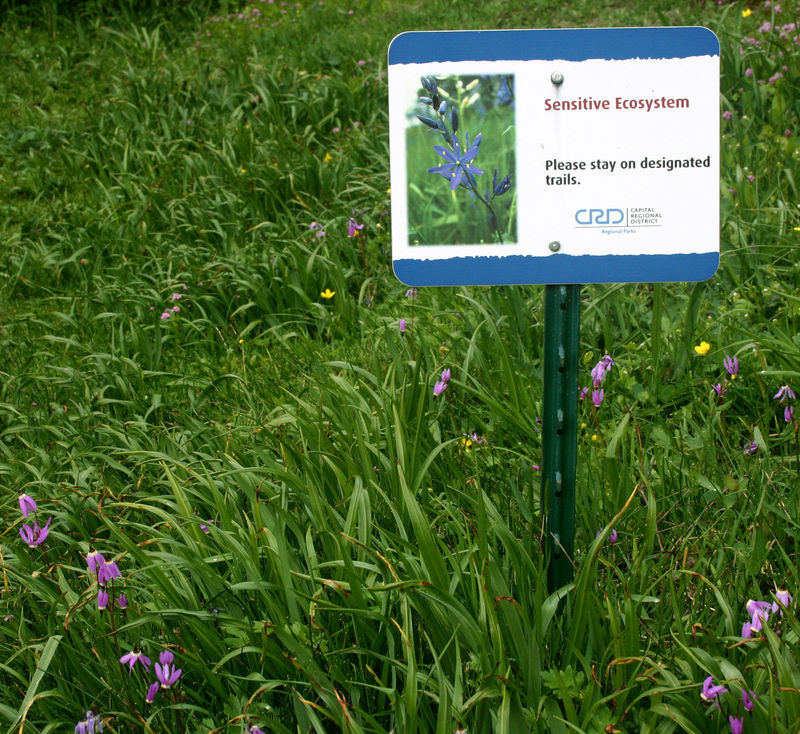 These and other wildflowers associated with Garry Oak ecosystems are vulnerable to trampling by people and off-leash pets, thoughtless picking, invasive species, and urban encroachment. 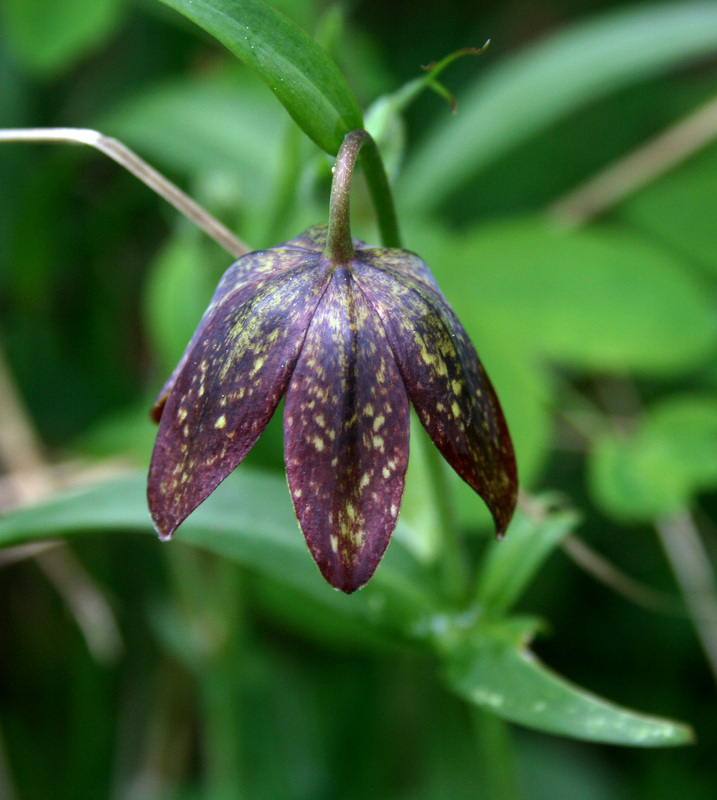 There are several organizations dedicated to the preservation of Garry Oak Meadow ecosystems in particular – these meadows are home to many of the beautiful spring wildflowers on the Peninsula, including Camas, Shooting Stars, and Chocolate Lilies. The Garry Oak Restoration Project (GORP), for example, is an initiative of the municipality of Saanich that works with many dedicated volunteers to restore the health of Garry Oak ecosystems on municipal parkland sites. There’s lots we can do to support the flourishing of these ecosystems, from leaving space in our own yards for native plant populations and enjoying natural areas respectfully, to becoming involved as site restoration volunteers or a trained native plant salvagers. Often the best first step is discovering the wealth of fascinating flora and fauna we have in our area, so I encourage you to get out and enjoy the sunshine (or rainshine) and see what’s growing out there! As we live in a small Garry Oak grove in SW Washington they grow wild here and there around our property among the Trilliums. It’s nice to see them each spring as they look almost magical when in bloom. Thanks for the article.